What was your last major accomplishment? It can be something as simple as leveling up in Final Fantasy or sticking to your diet for a week. Now, what was your last major professional accomplishment? Perhaps you increased sales or slashed costs at your company. But I bet you didn’t buy your friends a round of drinks to celebrate. I bet you kept the whole thing to yourself. Right? For some reason, we keep quiet about our achievements at work. Because talking about them would be bragging. And bragging is bad. But if you don’t brag about your professional accomplishments on a resume you’re making a huge mistake. And it’s the only foolproof way to take your resume from blah to bling like a pro. This article will tell you what, how, and where to put examples of key accomplishments on a resume. Example of a resume with achievements. 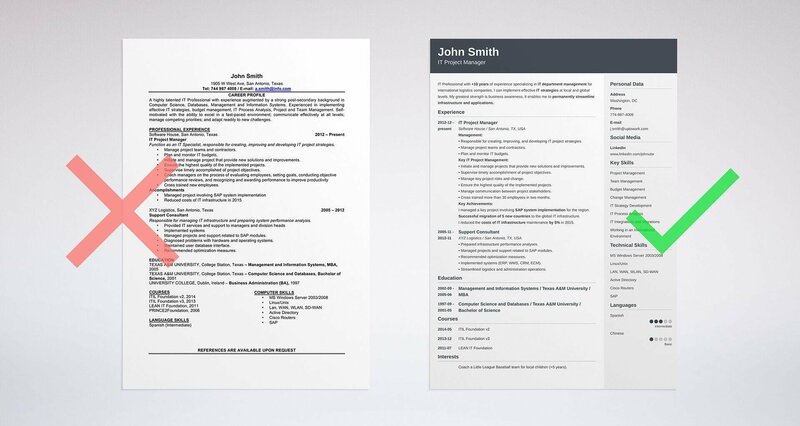 See 20+ resume templates and create your resume here. We've decided to give you the meat right away. Want to see these in practice? Here are 20 examples of job achievements to put on a resume sorted by industry. Keep in mind that the numbers and examples are imaginary. It's up to you to plug in your own numbers and come up with your own examples of work accomplishments to put on a resume. Read the article in full to find out how to write about significant accomplishments for a resume. Created an innovative database using Salesforce, resulting in a 50% reduction in response time for the processing of client queries. Negotiated a costs savings plan with merchants that cut office expenses by $5,000 annually. Balanced a $500,000 budget with regular cost savings of averaging 10% every year. Managed a financial team of 5+ employees responsible for payroll while increasing efficiency in the department by 12%. Memorized a 50+ drink menu before innovating a further 10 cocktails, which resulted in a boost of regular clientele at the bar. Designed wine and food pairings that generated a full 75% inrease in daily wine sales. Spearheaded an initiative to boost customer interest in the store loyalty card, resulting in a full 20% increase in sales of the card. Established a personalized approach to our customer's shopping experience that decreased returns by 23% over the course of 6 months. Developed an online training platform that resulted in an increase of 50+ employees enrolling in company development courses per year. Launched a company-wide digitized filing system that led to an increase in efficiency for all departments by 20% on average. Improved employee participation in Corporate Social Responsibility intiatives by 60% through the launch of a multi-phase awareness campaign. Generated a readership of more than 150 employees (up from 10+) by improving the quality of material published on the company's internal website. Mentored 10+ registered nurses in handling charts and paperwork for maternity ward patients. Implemented a scheduling and filing system that reduced patient waiting time by 15% over the course of 2 weeks. Persuaded management to implement online inventory management software for our multiple e-commerce sites, boosting overall sales by 30%. Acquired 15 major clients generating an increase of $150,000 in total annual revenue. Organized a fundraising event that brought in over $500,000 in contributions to provide underpriveledged students with scholarships. Tutored up to 12 students in Math and Physics, resulting in a 3 letter-grade jump on average for each pupil. Increased standardized test score for students in Math (30%) and Science (24%) by implementing creative coursework into the curriculum. Pro Tip: If you want to save time and find out how to write a great resume for your profession, take a look at our guides and sample resumes. Responsible for Corporate Social Responsibility campaigns company-wide. If this looks familiar, you’re wasting your potential. Here’s the thing. Before anyone actually reads your resume, a recruiter (or a robot) is going to scan your resume. If they find what they’re looking for, then they will read the whole thing and consider you for an interview. Keywords from the job description. How do they find them? Well, if you tailor your resume to match your job description, you will have identified and added the proper keywords to your resume. But for a hiring manager to easily find these keywords, you have to add details that will draw attention to them. One way to do that is to add numbers. Head up a team of 15 employees. But why not take it a step further? Adding examples of key accomplishments and work achievements to your resume will illustrate exactly what happens when you manage that team of 15 employees. Spearheaded a team of 15 employees allowing for company-wide rebranding within 6 months instead of the projected 12. Now when a hiring manager sees that, they know what you can accomplish. When you manage the team, a year-long project takes half the time. Go you! Pro Tip: If you're a fresh graduate, adding a list of academic achievements to your resume is just as good as adding examples of career achievements. Want to save time and have your resume ready in 5 minutes? Try our resume builder. It’s fast and easy. Plus, you'll get tips while writing your resume. See templates and create your resume here. What Job Accomplishments Should You Put on a Resume? The point of adding examples of significant accomplishments to your resume is to highlight your best skills. Take a few moments to brainstorm and make a list of work accomplishments for your resume. The best examples of work achievements for a resume are those that you can quantify or measure in some way. You can also think about awards or honors that you received. If you were ever Employee of the Month, that’s a good accomplishment. So is increasing sales, online social engagement, customer satisfaction, your company’s bottom line - you name it. Did you accomplish anything that you can directly illustrate with facts and figures? Can you think of any examples of professional accomplishments for a resume that illustrate how well you use your skills? Was there anything that your boss praised you for such as completing something ahead of time (see the above example). Look at the skills listed in the job description. Do any of your examples of professional accomplishments for your resume show you using one of these skills to the best of your ability? Pair up examples of significant achievements for a resume with your best skills. Once you’ve done that, you’re ready to put examples of key achievements on your resume. First, where do examples of key achievements go on a resume? The best place to put them is in your experience section. Instead of writing a boring list of responsibilities, you’re going to create a list of carefully selected skills highlighted by their corresponding achievement. In situation P (Problem), I did A (Action) which led to R (Result). Let’s say you’re that Marketing Manager from the first example. Instead of writing “responsible for Corporate Social Responsibility (CSR)” what can you write? One of the skill sets listed in your job offer is “ability to think creatively and innovatively” - there are two keywords for you. Let’s say one of the examples of key accomplishments you wrote down was boosting employee participation in CSR initiatives through a video campaign. Can you estimate how much you boosted participation? That’s where you’d get your numbers. To get employees to participate in a company-wide charity event (P), I made a creative and innovative video campaign (A) that increased participation by 50% from the previous year (R). You’ll want to trim it a little bit so that it fits nicely into your experience section without compromising your resume length. Launched innovative CSR video campaign, resulting in a 50% increase in company-wide participation in our annual charity event. Spearhead a team of 15+ to creatively and innovatively run internal Corporate Social Responsibility (CSR) campaigns. Launched innovative CSR video campaign, resulting in a 50% increase in company-wide participation in our annual charity event. That bullet point now has everything you need. You’ve used your keywords - “creatively” and “innovatively.” You’ve added numbers - “15+” and “50%” that will draw the eye of the hiring manager. And you’ve illustrated one of your responsibilities with a tangible achievement. Pro Tip: If you’ve got examples of great achievements for a resume left over, you can always add them to your cover letter, and they are the perfect ingredient for an optimized LinkedIn profile. It is no longer enough to slap together your roles and responsibilities and hand them in as your resume. In larger corporate companies, a recruiter can receive an average of 250 resumes in response to one job opening. 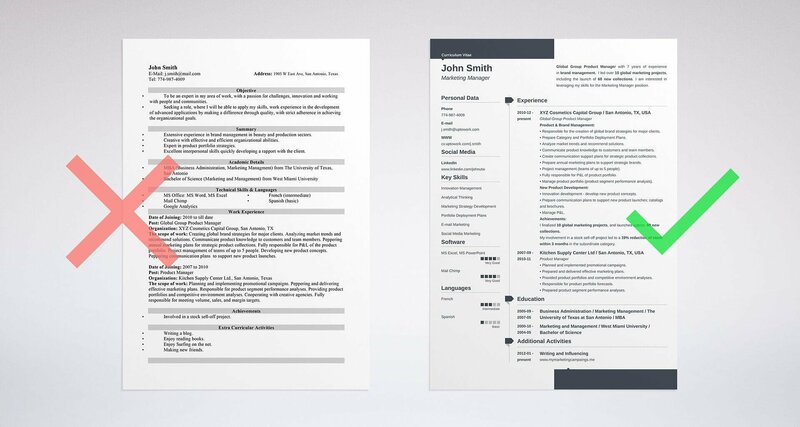 With all that competition, you need a results-oriented resume that stands out from the crowd. Every manager, teacher, waiter, dog walker, and mattress tester will have similar responsibilities as others with the same professional title. The only difference is in what you achieve with the skills you have when you’re doing that job. Show off your skills. Don’t be modest. Put examples of significant accomplishments in a resume to show the hiring manager just how skillful and great you are. Didn't see your profession in the examples? Want us to help you come up with what your best achievements are? Let us know in the comments, and we will help you get started. Thanks for reading!